Is there a difference between “economic democracy” and “cooperativism”? And, perhaps more specifically, how should “worker cooperative advocacy” relate to “cooperative advocacy”? This is a delicate topic––as it involves differences in moral opinion––a conflict in sensibilities as to what is “right” or “just” in the world. It must be clear at the outset that nothing in what follows claims to resolve any moral disputes. Rather, this is an attempt to distinguish two traditions of thought––and explore a coherent approach to community economic development. Economic democracy often refers to a tradition of political thought that is concerned with the relationship between employers and employees––and advocates democratic control of enterprises by their workers. Thinkers such as Pierre-Joseph Proudhon, John Stuart Mill, Cornelius Castoriadis, Robert Dahl, Carole Pateman, David Ellerman, and Noam Chomsky are representative of this tradition. More broadly, economic democracy encourages any mechanism that build workers’ control over their enterprises, such as the right of workers to organize and negotiate collective bargaining agreements. Cooperativism is also a political tradition––but with a position that is distinct from economic democracy. According to cooperative thought, enterprises should be controlled by their members and returns on capital investment ought to be limited in favor of patronage-based profit sharing. 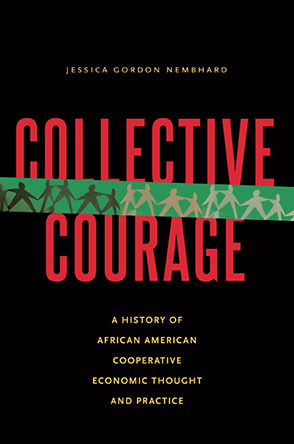 Under the traditional tenets of cooperativism, there is no necessary emphasis on the “sovereignty of labor”––a term associated with the founders of the Mondragon network of worker cooperatives––but bearing deep roots in Catholic social doctrine and late-nineteenth and early-twentieth century workers’ movements. In fact, the principle of “labor sovereignty” serves to distinguish the Mondragon Corporation from the cooperative system, more generally. In contrast to Mondragon’s principles, the “seven cooperative principles” of the International Cooperative Alliance lack any reference to workers or labor at all––which reflects over a century of debate on the issue (as discussed below). How, then, does this difference in orientation impact the potential for alliances of democratic, worker-owned businesses and other types of cooperative enterprises? For that matter, what is the potential for partnerships between worker cooperatives and capitalist organizations? Alternatively, how might members of consumer cooperatives encourage the development of democratic employee ownership? And what can worker cooperatives learn from the cooperative movement? The solution to the employment relationship is the democratic corporation. It is typified by the worker cooperative legal structure––however, a democratic corporation might embrace any number of legal or financial structures, such as democratic ESOPs (DESOPs), worker-controlled public corporations, worker-controlled nonprofits, or democratically structured corporations, limited liability companies, business trusts, or partnerships. In common, all democratic enterprises guarantee workers’ self-management. At a minimum, this requires majority control of the enterprise by its employees––with control exercised on a “one worker, one vote” basis. In many ways, it is most accurate to think of such workers as equal partners of a partnership or “jointly self-employed” in a corporation. Workers at a democratic corporation are not rented by the corporation––but work together as the corporation. If one feels that humans have a right to economic democracy––then one looks at business in a new light. The capitalist corporation––in which investors of capital own and control the firm––is inherently undesirable. Workers at capitalist firms do not delegate control––nor does the capitalist firm operate in the interest of workers. Rather, shareholders delegate control and the firm is operated in their interest––and workers are rented to fulfill those interests. And so, for the very same reason, many cooperative entities are also inherently undesirable (speaking from the tradition of economic democracy). In consumer cooperatives, consumers delegate control––and workers are rented by the firm. Vis-à-vis a worker’s perspective, employment at a consumer cooperative is essentially no different than employment at a capitalist corporation. This holds true for marketing and purchasing cooperatives, as well as credit unions. In all of these cooperative entities, workers are “subjects” of the corporation––they do not freely and democratically manage their own productive lives. In this way, most cooperatives are not democratic in the sense that we attribute to political democracy. For example, imagine if the residents of Canada, China, and Mexico elected the U.S. Congress––in recognition of their importance as high-volume consumers of U.S. exports. Would we consider this a democracy? Similarly, when consumers, co-marketers, co-purchasers, or depositors elect the board of a company––such an arrangement does not meet the central criterion of a democracy––that governors are controlled by, and operate in the interests of, those who are governed. Tangentially, it is worthwhile to address the relationship of non-employee cooperatives to economic democracy. Many housing cooperatives — and, for that matter, many marketing and purchasing cooperatives — have no employees. As such, economic democracy has no position on these types of cooperatives. Home ownership can, at times, be a useful strategy for economic stability and housing tenure. Purchasing and marketing consortia can be excellent business strategies––and are often used by worker cooperatives internationally. However, the tradition of economic democracy does not place any particular moral priority on home ownership––or business strategy. Home ownership may be a good thing (e.g., a tool to create affordable housing for the poor and middle class) or home ownership may be a bad thing (e.g., a tool for banks to grow profits at the expense of borrowers). Marketing and purchasing cooperatives may be a relevant strategy given a particular business environment. However, these are separate and likely context-specific policy choices. In short, a critic of the employment relationship is not necessarily an advocate of home ownership, housing cooperatives, or other non-employee cooperatives. "The syndicalist, who objects to the principle of the wage, is necessarily dissatisfied with the co-operative system." In sum, one may very well be an advocate of worker cooperatives—and democratic corporations, more generally—without being an advocate of cooperatives writ large. If one feels that “renting humans beings” is wrong—then, in fact, one would not be a cooperative advocate. That said, there are legal similarities––as well as a common institutional history––shared by cooperatives. For these reasons, among others, there may be many occasions for strategic partnership. But engaging in a partnership does not warrant or require the loss of coherence as a distinct moral vision. Moreover, advocates of economic democracy are not limited to the cooperative structure. They should explore any legal route to democratic majority ownership of businesses by employees––as well as other communities primed for partnership, such as faith-based groups, workers’ and immigrant rights organizations, environmental activists, social entrepreneurship networks, chambers of commerce, employee ownership advocates, and of course, organized labor unions. Finally, once again, non-employee cooperatives bear absolutely no inherent conflict with the principles of economic democracy––and for this reason, housing cooperatives, as well as many purchasing and marketing cooperatives, are excellent candidates for partnership. To the extent that cooperatives...aim to support economic democracy, the first place to look is internal governance. At the same time, the democratic business community has much to learn from cooperatives and cooperative advocates. Consumer, housing, credit, and other cooperatives have achieved a scale that allows them to positively impact the lives of millions of people. Many of these organizations emphasize professional management and representative governance structures that are underutilized in U.S. worker cooperative businesses. In addition, large and established institutions have launched some of the most successful cooperative enterprises: Congress chartered the National Cooperative Bank; New York state and local government created and operated the Mitchell-Lama housing cooperative program; and the International Ladies’ Garment Workers’ Union and Amalgamated Clothing Workers of America sponsored many of New York City’s other large housing cooperatives. In contrast, worker cooperative developers typically eschew institutional models of business development and emphasize technical assistance to self-organizing workers. Finally, the National Cooperative Business Association has maintained an effective lobbying presence in Washington, D.C. since the early half of the twentieth century. The United States Federation of Worker Cooperatives was founded in the early millennium––and has not yet established a D.C. office. To the extent that cooperatives and cooperative organizations aim to support economic democracy, the first place to look is internal governance. Consumer cooperatives can allocate a minority or majority of voting control (i.e., voting on shareholder issues and board seats) to current part- and full-time employees. Credit unions and other cooperatives with employees might do the same. Cooperative associations could also guarantee board representation to worker cooperative businesses. More broadly, cooperative businesses and associations might reinvigorate and re-emphasize their dedication to safe, rewarding, and dignified employment for their two million employees. Finally, it must be made very clear that the above is an attempt to distinguish two lines of moral thought. Nothing in this discussion aims to demonstrate the “correctness” of one set of moral feelings or opinions over another. The human world suffers no lack of areas for improvement. People should likely focus on what they feel is most important and where they can make the biggest impact. Editorial note: The release of this article coincides with an excellent new Swedish documentary that offers an in-depth exploration of economic democracy. Author’s note: This discussion is strongly influenced by David Ellerman’s work in synthesizing the tradition of economic democracy into a coherent moral framework. For further reading on the subject, the author recommends David Ellerman’s The Democratic Corporation, Robert Dahl’s A Preface to Economic Democracy, and Noam Chomsky’s Dewey Lectures. Christopher Michael, Esq. is completing a JD/PhD in political science at the City University of New York with a focus on cooperative finance, community economic development, and labor law. Chris is General Counsel of the ICA Group, a not-for-profit organization that has been dedicated to the democratization of business enterprises since 1977. He is also Executive Director of the New York City Network of Worker Cooperatives; a Fellow in the Community & Economic Development Clinic at CUNY Law School; and an Adjunct Assistant Professor in the Department of Management at CUNY Baruch College Zicklin School of Business.